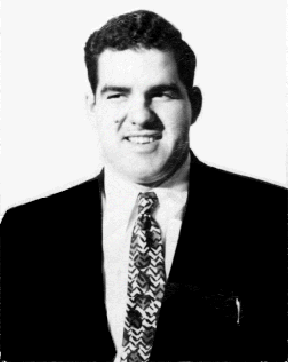 Harry Daghlian, Jr. was born in Waterbury, Connecticut, on May 4, 1921. Soon after his birth, the family moved to New London, where he completed his primary and secondary education. His father was an X-ray technician and then supervisor of the X-ray laboratory at the Lawrence Memorial Hospital. His interest in mathematics and physics was fostered by his parents and his uncle, Dr. Garabed K. Daghlian, who was a professor of Physics and Astronomy at Connecticut College, located in the outskirts of New London. In 1938 the younger Daghlian graduated first in his class of mathematics from Bulkeley High School and at age 17 he was able to begin undergraduate studies at MIT. He would eventually transfer to Purdue University in Indiana because he was fascinated with physics, especially particle physics. He graduated from Purdue in 1942 and began graduate studies in West Lafayette, while becoming a physics instructor. Robert Oppenheimer, the head of the top secret Manhattan Project, was recruiting scientific personnel for Los Alamos, in a race against time to create an atomic bomb before Germany did. In 1942 physicist Marshall Holloway arrived at Purdue on a secret assignment from the Manhattan Project and worked with a group there, which included three senior level investigators, and a graduate student, Daghlian, who worked with Purdue’s cyclotron to produce deuterons. The Purdue group moved to the Los Alamos laboratory in September 1943, and Daghlian followed them a year later. He first worked as part of the “Water Boiler” group at the Omega Site, and later joined the Critical Assembly Group, also located at Omega. His last major assignment was as an assistant in preparing the plutonium core at the MacDonald Ranch House for the Trinity test in Alamogordo, New Mexico. The world’s first nuclear weapon was successfully tested in Alamogordo on July 16, 1945. World War II would come to an end almost a month later, on August 15, after two nuclear bombs had been dropped over the Japanese cities of Hiroshima and Nagasaki, with an outcome of hundreds of thousands of victims. Less than a week after the end of the war, while Daghlian was continuing his research at Los Alamos site, he was involved in a deadly accident while doing experiments concerning the critical masses of a sphere of plutonium and the building of a radiation shield with tungsten carbide bricks. On August 21, after doing two criticality tests in the morning and the afternoon, Daghlian decided to do the third tests in the evening, after hours, for reasons unknown. While close to finishing the construction of the assembly, the addition of the fifth brick showed the possibility that this would be beyond the levels of criticality. He accidentally dropped the brick into the center, triggering a critical reaction. He pushed the brick from the assembly with his right hand, but this was not enough and he was forced to disassemble the pile by hand to stop the reaction. The young scientist received a dose of 510 rems of neutron radiation while he was solving the potentially very dangerous issue. He was rushed to the hospital, where he immediately showed symptoms of acute radiation poisoning. His right hand began to swell and he developed overwhelming nausea. The high dose received made it impossible to effectively treat him. His symptoms worsened, and after horrifying physical deterioration, he passed away on September 15, 1945, at the age of 24. As his memorial inscription acknowledged fifty-five years later, Harry Daghlian was the first American casualty of the atomic age.